When the Ruger Owners & Collectors Society (ROCS) formed in November of 2013, the founders’ vision was for a member-focused organization that would remain viable and actively promote their affinity for all things Ruger. By staying dedicated to the interests of its members first, ROCS has indeed firmly established itself and is now celebrating five years of sharing its knowledge, experiences and affection for Ruger firearms and memorabilia. This is a significant first milestone for any collectors society. As a business that is similarly dedicated to preserving the historic legacies of iconic firearms manufacturers, Turnbull Restoration is happy to team with ROCS and Ruger to produce a line of Mark IV .22 caliber pistols commemorating this special anniversary. The limited edition ROCS 5 Mark IV was released in March to ROCS members. The 125 pairs of Turnbull color case hardened and Ruger factory blued configurations were met with great enthusiasm and rapid sales. These never-before released configurations are now available to all Turnbull Restoration customers. 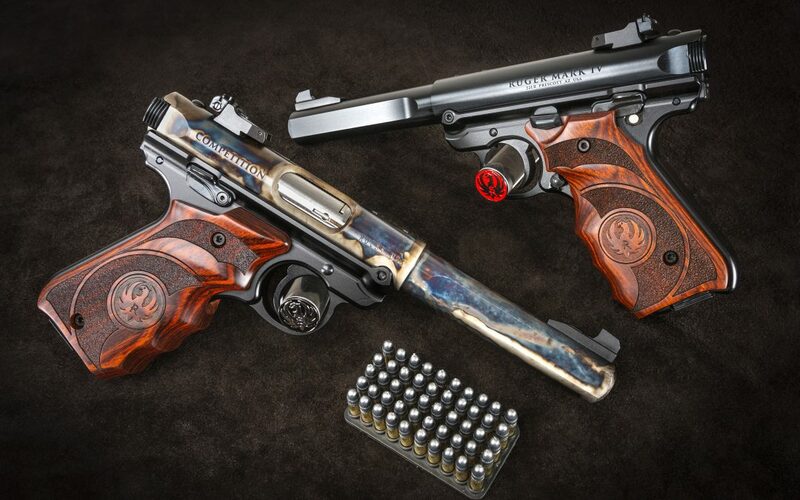 Reservations are being taken for color case hardened and blued pairs from now until the end of the 2018 NRA convention On May 6th. Individual reservations will be accepted after May 6th for the remaining serial numbers. UPDATE: reservations are now being taken for single Turnbull color case hardened and Ruger factory blued configurations. With only 125 pairs of each configuration originally produced, the ROCS 5 Mark IV is indeed a collector’s item. 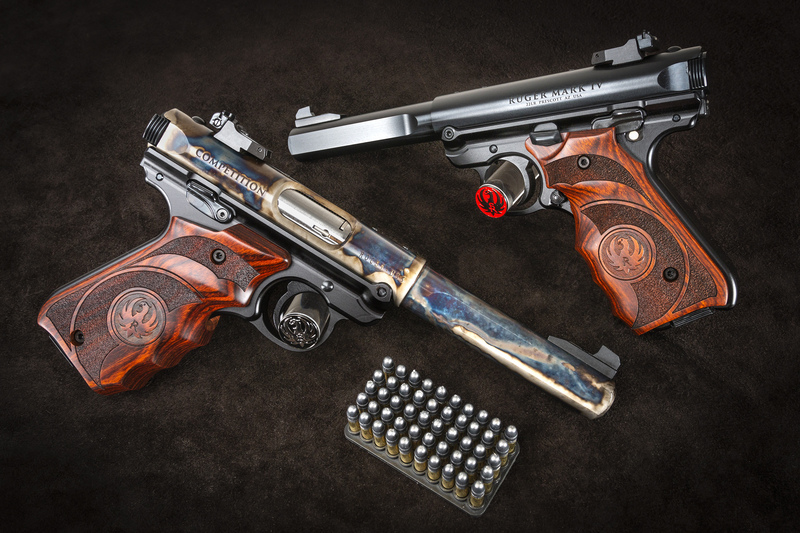 Serials 1 and 125 will be auctioned or raffled by ROCS, with proceeds benefitting ROCS’ ongoing endeavors to promote the ownership, use and history of Ruger firearms. Other fundraising activities around the ROCS 5 Mark IV include auctions of prototypes and pictures from the original photo shoot. A copy of the original announcement issue of ROCS Digest (Volume 5, Issue 1) signed by Doug Turnbull will be part of the offering. We’re proud to be part of the team to celebrate ROCS’ the 5th anniversary, and hope our contribution serves the organization’s member-focused mission with distinction. We thank our friends at ROCS and Ruger for including us in this celebration, and we look forward to future collaborations. Visit Ruger Owners & Collectors Society on the web for more information about ROCS and membership within the organization. Please add me to your email list if I am not already on it. Hi Larry, thanks for your interest! Yes, the ROCS 4 Mark IVs are now available to any interested buyers. We’ll drop you an email to help answer your questions. And thank you for the kind words on your Blackhawks!